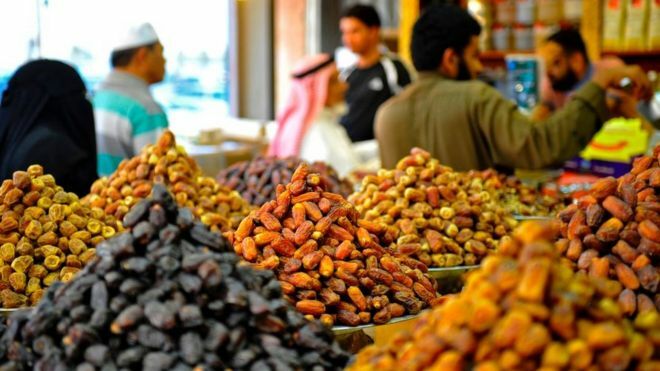 Nigeria apologises to Saudi Arabia over Ramadan dates | Welcome to Dare Lasisi's blog! Nigeria has apologised to Saudi Arabia after 200 tonnes of dates the kingdom sent as a Ramadan gift were found on sale in local markets. Dates are traditionally the first things Muslims eat when they break the Ramadan fast each evening. The dates were intended for people who had fled their homes because of the Boko Haram Islamist insurgency. Nigeria's foreign ministry said an investigation was underway. However, no arrests have yet been made. The foreign ministry said that Nigeria's Commission for Refugees, Migrants and Internally Displaced Persons had drawn up a list of places where the dates would be distributed, which included IDP camps and some prominent mosques. The dates were found on sale in markets in Borno state, which has been hardest hit by the Boko Haram conflict. After eight years of unrest, some 8.5 million people need life-saving aid in north-eastern Nigeria, aid officials say.